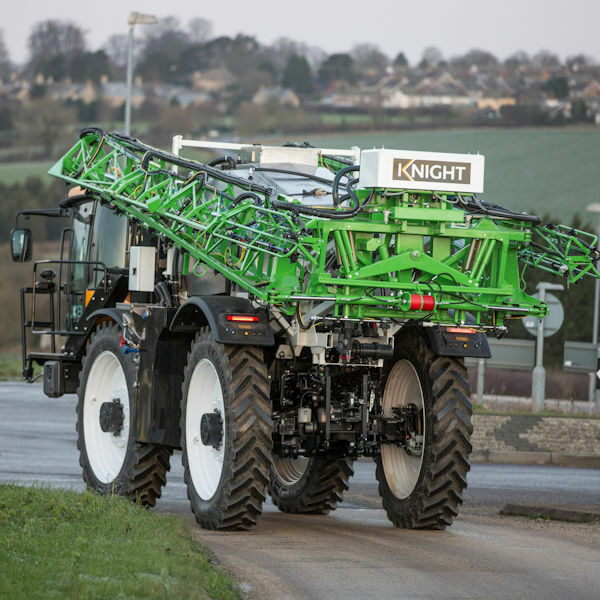 The Knight Forward Control conversion for the JCB 4000 series Fastrac creates a high performance self-propelled sprayer. Tank capacity up to 4000 litre and booms up to 40m offer excellent field output. The conversion makes room for larger wheels and improved crop clearance. 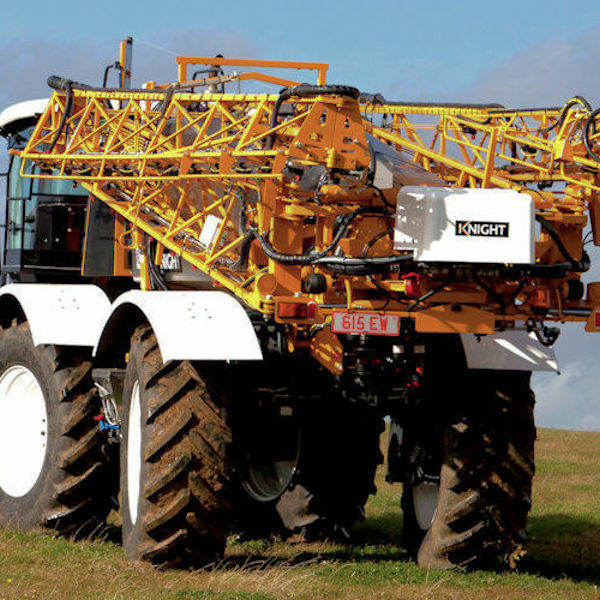 It utilises the tractors variable height suspension for optimum field performance. This is a mechanical transmission sprayer that drives like a hydrostatic. The constantly variable transmission system automatically maintains a pre-programed forward speed whilst keeping engine r.p.m to a minimum. This saves fuel and makes sure chemical is accurately applied. 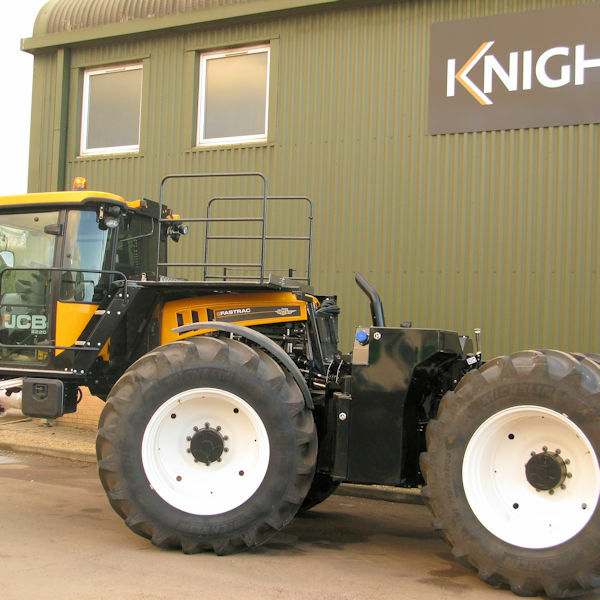 The forward control conversion makes room for larger wheels, increasing crop clearance to over 700mm. Typical 380/95 R46 rowcrops or 710/60 R38 flotation wheels can be used. High road speed and efficient braking combined with the JCB 4000 series CVT transmission make this machine ideal where jobs are spread out across a wide area. 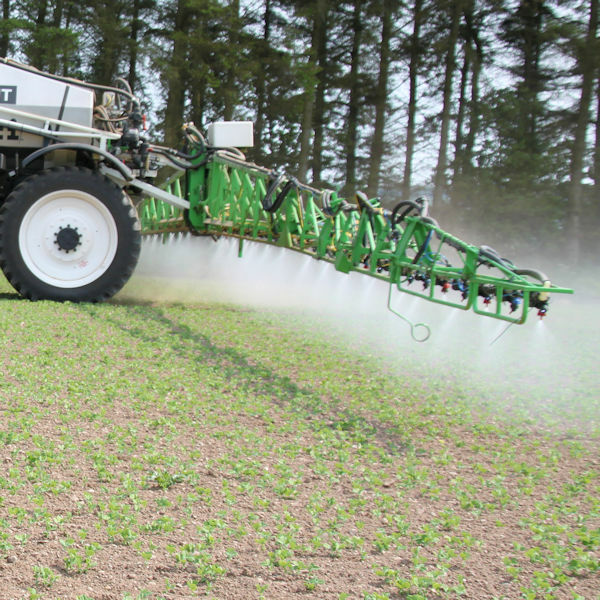 The active suspension systems and excellent driver environment make this one of the most comfortable sprayers on the market today. 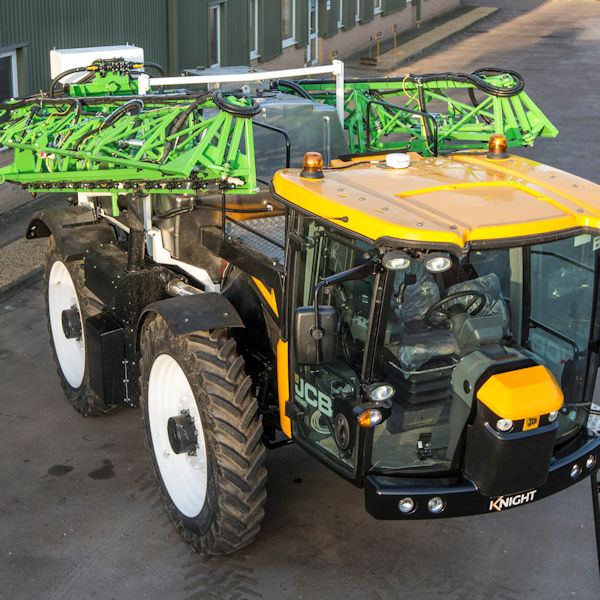 The Forward Control Fastrac can do much more than spraying. 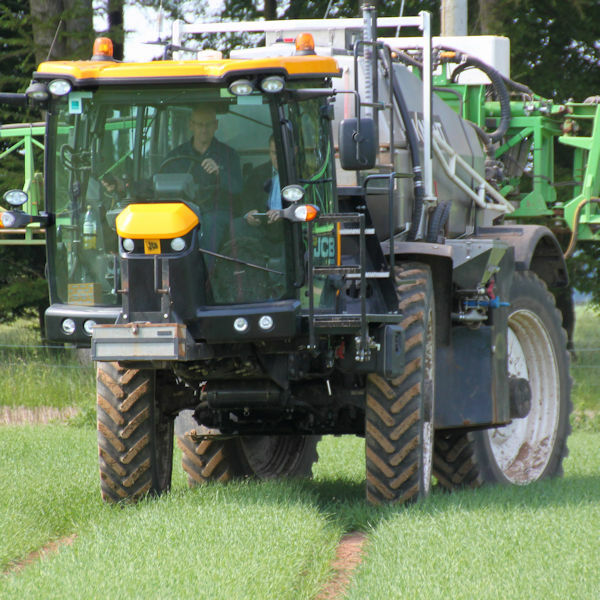 The sprayer can quickly be changed for a granular fertiliser spreader or other applicator. If you have a job that needs some fresh thinking please call us on 01780 722200. Strong and reliable 4 series boom. Available in 12m/24m, 14m/28m and 15m/30m folding. Optional “one side folding” facility. Simple and convenient control layout. Low volume "MAXImizer" plumbing system. Pressurised sprayline circulation with auto cleaning. Automatic induction hopper with self cleaning. Optional fast tank filling system. Choice of diaphragm or centrifugal pump.